It’s always refreshing when there is a online casino that is trying new things. CODETA online casino does this by niching their site to Live Casino gaming. Of course not so, as to the expense of other games one might want to play. Also, this might be the first online casino that offers a welcome bonus that focuses on live games. The welcome bonus at CODETA gives you a well deserved bonus at their Live Casino – at top-up or a cash back depending on how you’re doing. On top of this, they offer transparency, slick interface, helpful FAQ, as well as well layed out game tutorials. Further below you will be introduced to a video clip of some CODETA gameplay as well as additional information about the casino. It’s always refreshing when there is an online casino that is trying new things. Codeta does this by niching their site to Live Casino gaming. Of course not so, as to the expense of other games one might want to play. Also, this might be the first online casino that offers a welcome bonus that focuses on live games. The welcome bonus at Codeta gives you a well-deserved bonus at their Live Casino – a top-up or a cash back depending on how you’re doing. On top of this, they offer transparency, slick interface, helpful FAQ, as well as well laid out game tutorials. The welcome bonus in which you can take part in, is different from what you might expect, with just the usual deposit bonus and Free Spins. At Codeta, you’d be able to choose between two different bonuses, depending on what kind of player you are. There is no wagering requirement at the welcome bonus. So let’s say that you deposit £500 and at the end of week one you end up with £1,500, you’d get £150 added to your real cash account. This is probably the best casino bonus for new players UK, since it requiers a low amount of knowledge to fully benefit from it. The fact that Codeta has decided to focus more on their Live Casino selection than at Slots, makes them a casino that attracts a lot of people that are tired of just playing at the usual slot-heavy casinos. The focus is at games such as Black Jack, Roulette and Baccarat – mainly from NetEnt and Evolution Gaming. Those are the top game developers in those categories and contributes to almost every you can find. You can also navigate to the slots selection where you have the usual game developers – Play’N Go, Microgaming, ELK Studios, NextGen Gaming, QuickSpin and the most recent one, Novomatic. They also offer progressive jackpot slots from NetEnt to name a few, Arabian Nights, Divine Fortune and Mega Fortune. There are currently as many as 65 live games. 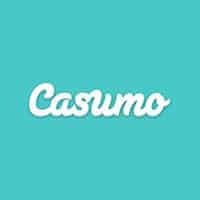 There is no other online casino that can match these sheer numbers and diversity of its live games. 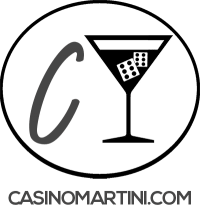 If you’ve never experienced a live game before, Codeta is probably the best place to start, doesn’t matter if you’re searching for roulette, baccarat or blackjack – there are around a dozen varieties alone. 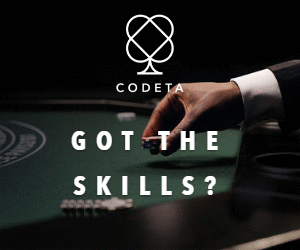 Codeta even offers live roulette with a native speaking dealer to match your first language, with French, Flemish, Swedish and Spanish among the options. This only shows that they have the volume of players going to them for live casino gaming, since what other casinos would do that? Roulette Dragonara is broadcasted live from the Dragonara Casino in Malta – this is probably the most “live” you can get. If you’re a Black Jack fan, don’t feel you have to settle for playing one hand of cards at a time. 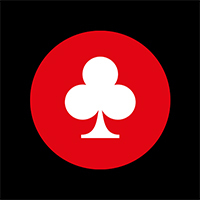 Black Jack Multiplayer Common Draw involves up to six decks of cards and is handled by solely by a live dealer. The cards are shuffled using an automatic shuffling machine, with the dealer then dealing the cards for himself and players then voting on whether they want to hit, stand, split or double. For something on the more light side of the spectrum, try Black Jack Party. This low-stakes, party-style variant of live Black Jack features music bubbly chat and game guidance from the casino’s TV-trained duo of dealer and co-presenter/hostess. It’s enough for you to have a smartphone and an internet connection to be able to play at Codeta through your phone. They have instant play through you smartphones web browser – so you don’t need to download any additional app or software. As Codeta made sure already, their focus is at Live Casino games. Codeta online casino offers some of their Live Casino games through their mobile version, which is pretty unusual for a casino to do. This is only a complement to the other standard array of games that you can find at any other mobile casino, such as slots and table games. The Support section can answer any of your questions and strive to offer a quick and helpful support. They have both phone, chat and mail. As always the chat option is recommended, it’s open between 10 am to midnight. Codeta’s front page introduces you to a green layout that shows a lack of design interest. Although it does the trick, showing people where they have landed as well as pushing for their complete investment in Live Casinos. Scrolling down you’ll find a recommended list of live games, top live games as well as top slots. And that’s it. One can’t really help to appreciate the clarity on this front page. A top bar for log-in/sign up is also displayed together with other options such as support, game tutorials, and F.A.Q. It has the most annoying blinking red light in the upper left corner that can really make you lose focus. The Codeta website is operated and managed by EveryMatrix Ltd, which is a company addressed to Malta. EveryMatrix is licensed and regulated by the Malta Gaming Authority (MGA). The gaming platform is also provided by EveryMatrix. Codeta’s marketing strategy is to promote player’s safety -promising complete transparency, including no hidden fees and Terms & Conditions that are as accurate as they are fair. 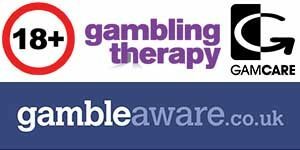 They want to keep their customers informed, for their sake and for the casino’s, to prevent crossed wires, disgruntled punters and the sort of negative feedback that can torpedo a business. Codeta ensures you that they won’t disclose any personal information to anyone other than those employees that need access to your data to provide you with a service. The website is secured with SSL encryption which makes sure players’ sensitive information remains private, secure and undisclosed to third parties. 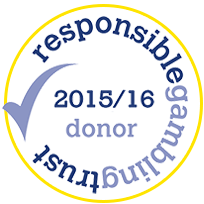 They also have a wide section about responsible gambling where they talk about player safety and how they can help anyone in need of restrictions to their playing. For example, a player can opt to “self-exclude” if they feel like they have lost control over their gambling. Self-exclusion means that your account will remain closed during the entire exclusion period, which can be set for a minimum of 6 months. One can also set “session time limits”, by contacting the support team. Once these limits are set the player will not be allowed to continue playing above the pre-set time limit in any one session. Codeta offers you the most common payment methods, such as debit/credit cards, E-wallets (Skrill, Neteller etc. 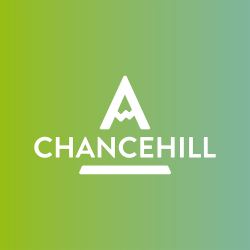 ), Prepaid cards, Instant Banking, Fast Bank Transfers and Bank Transfers. The withdrawal has to be done with the same method as the deposit, i.e to the same account which deposited the money. 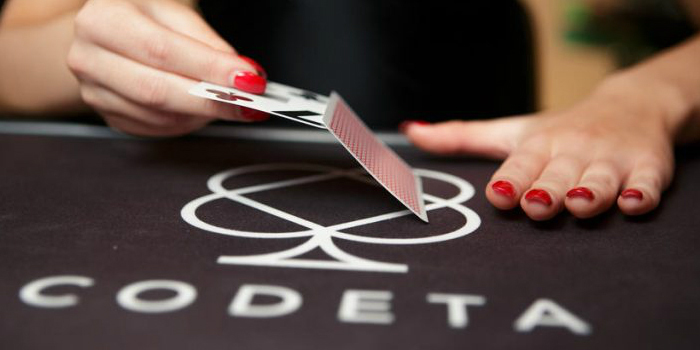 Codeta is a professionally designed online casino with a lot of experienced people behind it. The casino will be particularly attractive to fans of live table games. Whether poker, Black Jack or baccarat are your things, you’ll find a vast array of live options available at the push of a button. The provision of multi-language roulette games is a nice touch, especially for players that don’t speak that good English and still want to join a live game. Other than this niche, Codeta online casino still offers the usual amount of Slots, table games and other fun things to be enjoyed. Codeta’s first-week promotion for new players a 10% top-up or cash-back is nice, but it’s not the most generous offer out there. But the fact that it’s so clear as to what the bonus consists of really makes up for it, since there are so many welcome bonuses out there that don’t measure up to the expectations. That minor gripe aside, Codeta deserves credit for its slick interface, helpful FAQ, game tutorials and depth and breadth of entertaining games.